Staying On Budget, And Finding Affordable Options For Accessible Vehicles | Custom Mobility Inc. Whether you are a parent of a special needs’ child, or an adult with changing abilities, our needs constantly vary. Since this process can be difficult and scary, we’re here to offer you some guidance. Purchasing your first, accessible vehicle may be intimidating; however, it doesn’t have to be! The following tips are designed to steer you through this process, no pun intended. The first and most important step, is to find an accessible vehicle consultant or specialist. This person will guide you through the entire process, and help you figure out your best options. Depending on your stage of life, and the age of your children, you may have specific needs. The right choice should be cost-effective at the present, and continue to save you money in the future. This step might seem daunting, but finding the right vehicle is more affordable than you think. As a parent of a child with special needs, finding a transportation solution can be one of the most polarizing problems. As your child grows and his/her world expands, there are four, primary life stages to plan for. When shopping for the right vehicle, always think about the future. 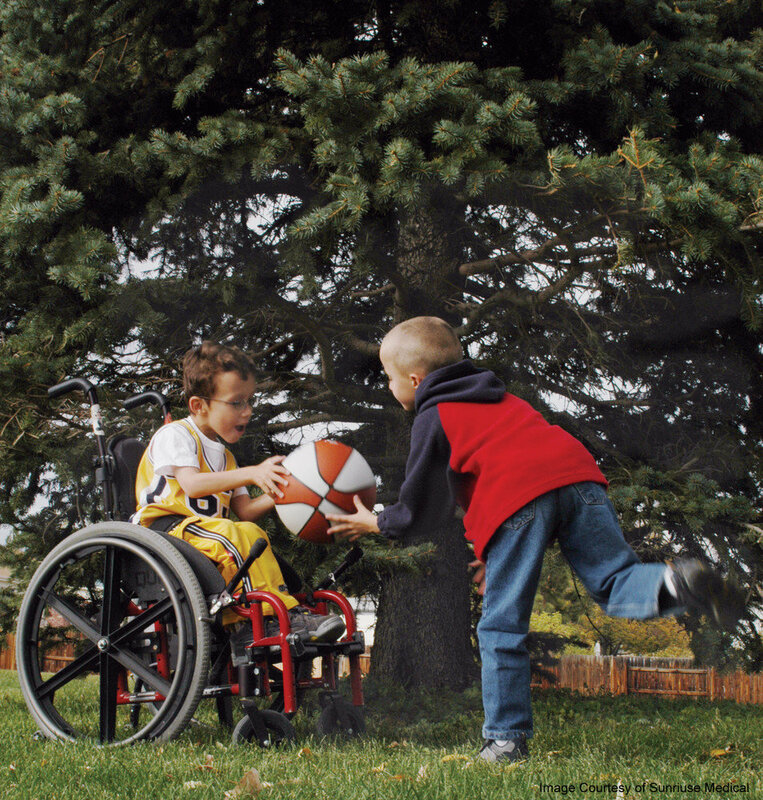 When your child is young, he/she will grow, eventually needing a larger and heavier wheelchair. Naturally, this means that he/she will need more space. To ensure that you get the most out of your investment, it’s key to limit the number of tweaks to any, adaptive equipment. This foresight will save you time and money. By planning, your consultant can often skip some steps. This step is so important because it will ultimately save you money. Since young children are small, people often continue to use their original vehicles. As they grow, a large percentage of children with disabilities will likely use custom wheelchairs. Whether they use power or manual wheelchairs, these devices require more space. Additionally, these wheelchairs may have adaptive features, which are needed for optimum seating and positioning. If that’s the case, these wheelchairs will be larger in size. Your child’s therapists’ may also recommend special, adaptive walkers, and/or bath chairs. Due to health-related needs, this equipment will need to accompany your child on vacations and family trips. Finding space for, and transporting this equipment, can be tricky. It can be especially challenging if there are other children in your family; however, before jumping to a larger vehicle, consider the next stages of your child’s life. Some vehicles can be adapted as your child grows, whereas some can’t. For this reason, it’s extremely important to work with an accessible vehicle consultant or specialist. That way, you can make an educated decision, regarding your current and future needs. A growing child takes up an increasing amount of space, and may require a minivan or large SUV to accommodate their changing needs. The medical equipment your child needs may become larger and heavier. 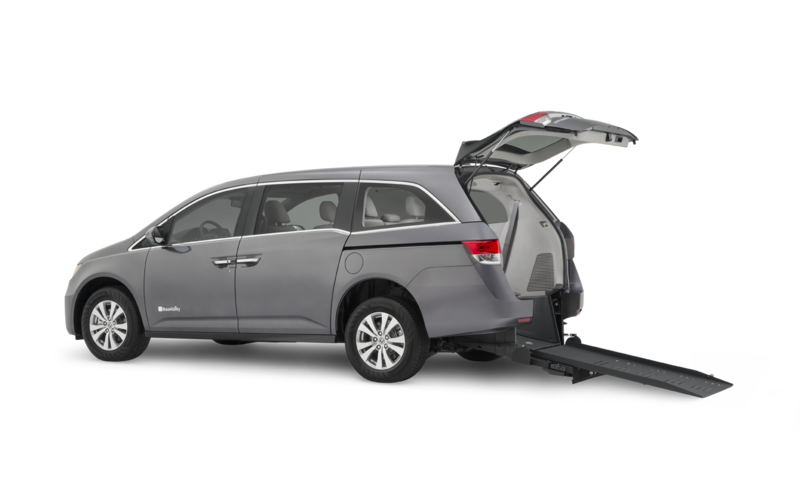 Most parents will have the body strength and flexibility to transport this equipment without modifying their vehicle with special hitch, ramp, or lift; however, you’ll want to pause and think about this decision. Now, your child’s world is expanding with school, after-school activities, play dates, and other, fun outings! You are both getting older. With increased age, comes the risk of back injury and other, overuse syndromes. These maladies could be hazardous to your health, and could even affect your family’s wellbeing. Positive attitudes in the home environment cannot be overstated, which requires everybody remain healthy! Consider the number of times per day that you will be lifting and bending to assist your child. How many times per week? In addition to lifting your child in and out of the vehicle, by transporting his/her custom manual wheelchair, you put excess strain on your body. What does this mean? Each time that you and your child get in and out of the vehicle, you may have to disassemble or assemble the wheelchair. 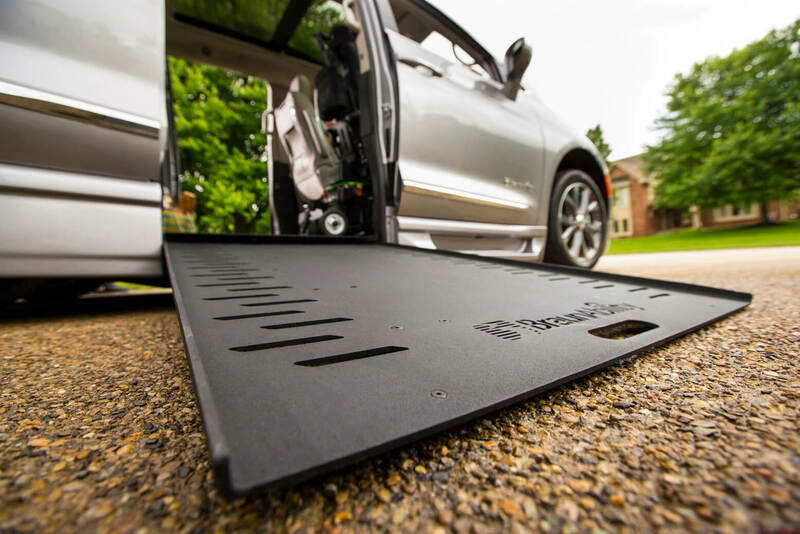 If a clinician deems that your child is most-suited for a power wheelchair, then a built-in ramp would make it easier to load and unload from your vehicle. These ramps, or even lifts, are among the most popular choices of mobility transportation. Again, it is important to explore your options with an accessible vehicle specialist. During this age, most parents will either add a power lift or built-in ramp to their vehicle. At this point, your child’s equipment will too cumbersome and heavy to lift; therefore, you will run a higher risk of sustaining injury. If you have already purchased a van or SUV, and it can’t be modified, a replacement vehicle will be your only option. Again, planning ahead can help determine the best time to make such a purchase, which will best-fit your current and future budget. Ensuring that you get the most out of your investment is key. By limiting the number of necessary tweaks, you’ll ultimately save more time and money. Since your child is nearing adulthood, most families consider purchasing a van with a built-in ramp. This option allows for easy on and off loading. Since their humble beginnings, wheelchair accessible vehicles have come a long way. Technology is constantly improving, and accessible vehicles are no exception. For individuals and families living with disabilities, they have quickly become powerful and reliable pieces of equipment. Having access to your community is so important for maintaining independence and a high quality-of-life. When shopping for a new or used accessible vehicle, one of the most important factors to consider is the overall size of your family. For example, a larger family of five or more children, would need a lot of space. So much, in fact, that they would require a full-size van. The smaller your family, the more likely you are to consider an adapted minivan. Do not forget to compensate for extra guests, caretakers, or friends you may need to accommodate. 2. Your Or Loved One’s Health Condition Barring the size of the wheelchair, you’ll also need to consider health conditions. Depending on the severity, certain health equipment may always need to travel with you. A rear-entry vehicle may make it easier to load and unload equipment. Compared to side-entry vans, rear-entry removes the need to maneuver wheelchairs and other equipment. With these vehicles, everything rolls into position from the back of the van. 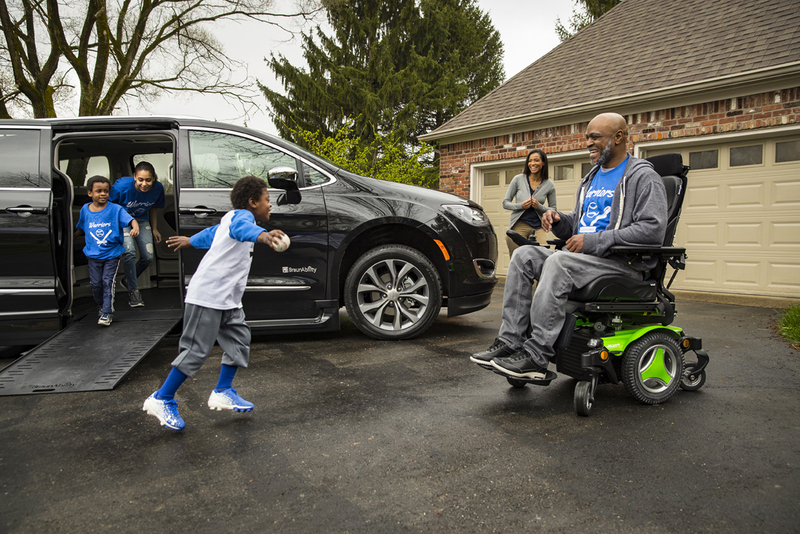 Aside from wheelchair size and additional equipment, knowing your family size and daily lifestyle can affect your choice of vehicle. If you or a family member use a powered scooter for mobility, there are many lift options that can be added to your vehicle. While in the community or on vacation, these lifts can help you maintain your active lifestyle! If it is difficult to enter or exit either the driver’s or passenger’s seat, there are adaptive vehicle seats. These chairs swivel and lower for easy and safe transfers in and out of your vehicle, for you or your loved one, too! Today, accessible vehicles have a number of options. Custom Mobility is a <a href=” https://nmeda.com/locate-dealer/”> NMEDA Quality Assurance Program dealer . Dealers like us can help answer your questions and confirm you are getting the best solution for your family. Custom Mobility has dedicated and experienced, accessible vehicle specialists. They are always happy to answer your questions, and guide you through the decision process. 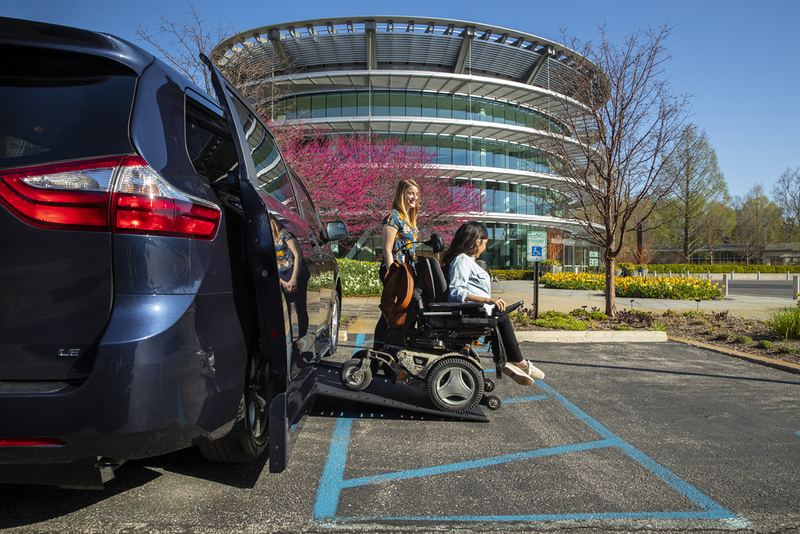 The National Mobility Equipment Dealers Association (NMEDA) is an advocate for mobility and accessibility for drivers with disabilities. Finding and buying a wheelchair-accessible vehicle can’t be rushed. This purchase can potentially redefine your daily experiences, your health, your child’s independence, and the lives of those around you. For these reasons, it’s critical to learn the right, and best, way to shop for a mobility vehicle. Take this short quiz from BraunAbility to narrow down this process! We’d be more than happy find the perfect vehicle for you!